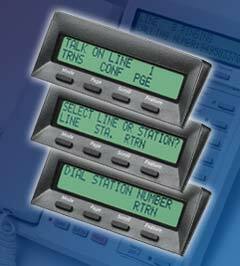 Toshiba business telephone systems are built to last, typically from 12 to 15 years. 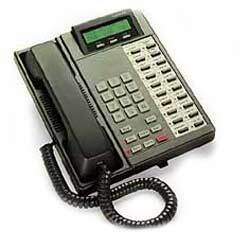 It is not uncommon to have a Toshiba telephone system last even 20 years or more. If you bought a Toshiba DK Series telephone system in the 90’s or even the 80’s there is a good chance it’s still running well and supporting your business today. Teleco fully supports all Toshiba DK series business telephone systems. This includes the Toshiba Strata DK 8, Toshiba DK 16, Toshiba DK 16e, Toshiba DK 40, Toshiba DK 40i, Toshiba DK24, Toshiba DK 56, Toshiba DK 96, Toshiba DK 280, Toshiba DK 424, and Toshiba DK 424i. We can provide service support, add-ons, moves, repairs, administration, upgrades and maintenance service contracts. 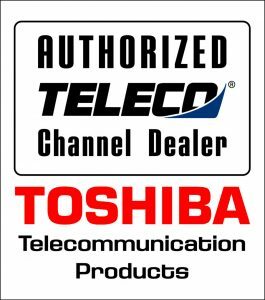 We provide emergency service and carry all Toshiba phone system parts in stock for immediate repairs including Toshiba DK power supplies, Toshiba DK CPUs, Toshiba DK station cards, Toshiba DK CO line cards, Toshiba DK Expansion Cabinets, Toshiba DK door phones, Toshiba DK door box control units, Toshiba DK cordless telephones, and all Toshiba DK telephones including DKT2010-H, DKT2010-SD, DKT2020-S, DKT2020-SD, DADM2020, DDSS2060, DKT2404-CT, and all Teleco UST model telephones. Teleco can also upgrade your older Toshiba DK to the latest line of Toshiba CIX telephone system. In most cases, you can reuse your existing telephones, many of the station cards, line cards, voice mail system and other peripheral components. If you have a Toshiba DK 424i phone system, you can even reuse the cabinets and power supplies making an upgrade to a Toshiba CIX 670 phone system a snap and very affordable. An upgrade can give you all the latest features at a fraction of the price of an entire new telephone system. Let Teleco tell you how upgrading Toshiba DK business phone system makes sense for your business. Teleco supports all Toshiba voice mail systems including the legacy Toshiba Stratagy DK, Statagy IVP8, Statagy Flash, Stratagy ES, Stratagy Enterprise Server, iES16, iES32, GVMU, GVPH, LMVU, Strata Messaging, Toshiba Media Application Server (MAS), and Toshiba Micro Media Application Server (Micro MAS). Teleco supports the entire Perfect Voice line of Toshiba DK compatible voice mail systems including the legacy Perfect Voice Professional PC based system, Teleco Contact DK, Perfect Voice Answer, Perfect Voice Flash, Flash8, Tis16, Octet, and Perfect Voice Pinnacle, and Perfect Voice Pinnacle Blade. Teleco supports the entire Amanda line of Toshiba DK compatible voice mail systems including the Amanda Soho, Amanda Work Group, and Amanda Work Place voice mail systems.